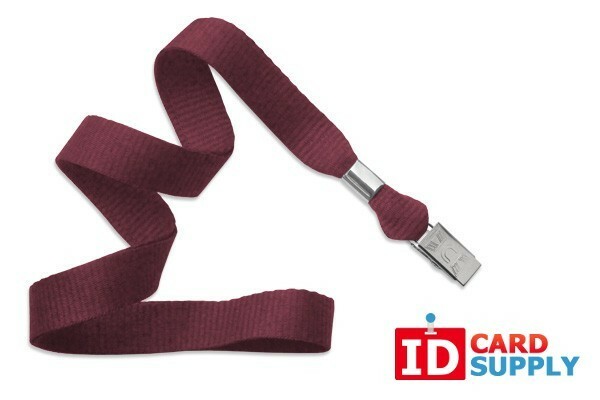 If you need a subtle but still unique ID lanyard, you've found what you were looking for with our pack of 100 maroon lanyards! Each lanyard comes complete with a nickel plated bulldog clip as the end fitting. This allows for easy attachment to any ID Card. This extra wide durable strap is 5/8" thick, which makes these lanyards comfortable to wear all day long. We do this with straps made of newly engineered and high-tech microweave polyester. This results in a ribbed and very soft, lightweight material.